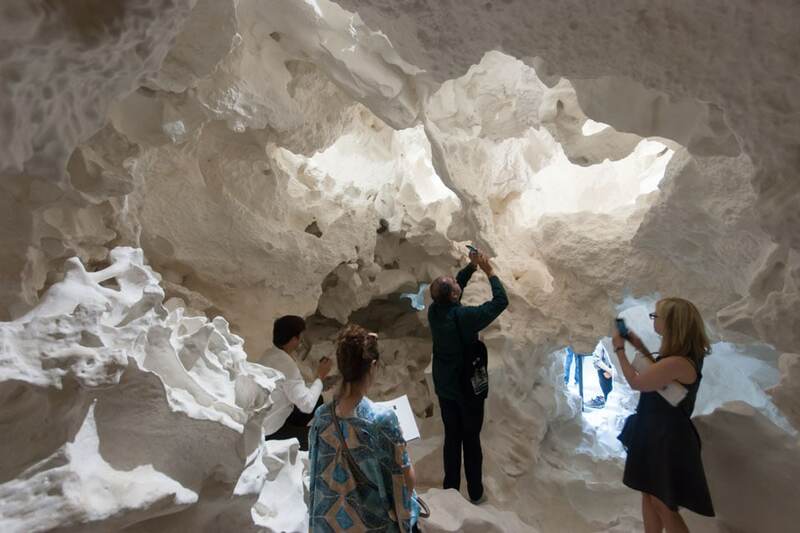 The Swiss pavilion at the 15th Venice Architecture Biennale is populated by a strange rocky creature. 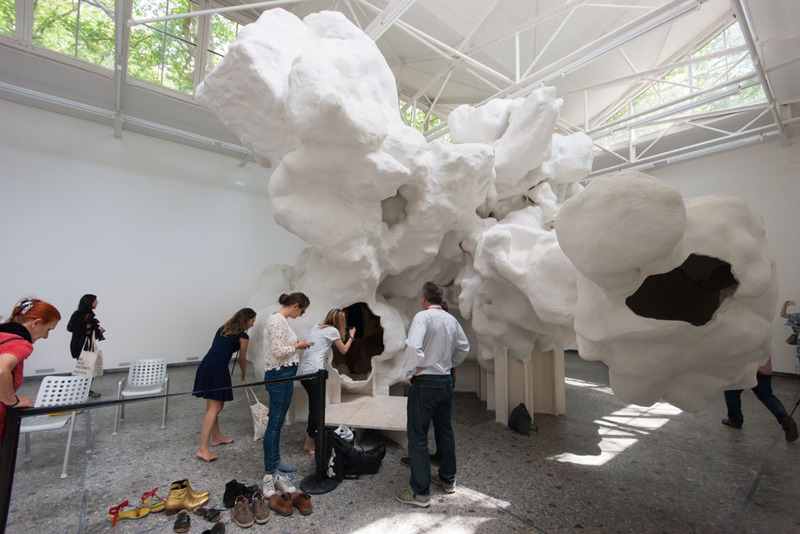 It is actually a both conceptual and very concrete work, resembling a giant geode, developed by Swiss architect Christian Kerez, also professor of architecture at the ETH University in Zurich, in collaboration with his student and with Sandra Oehy, curator of the Swiss exhibition at this year’s Biennale. The project, entitled Incidental Space originated from Kerez’s complain that “Although, technologically speaking, more is possible today than ever before, in recent years architects’ creative latitude has been greatly reined in by an enormous—and growing—burden of rules and regulations”. 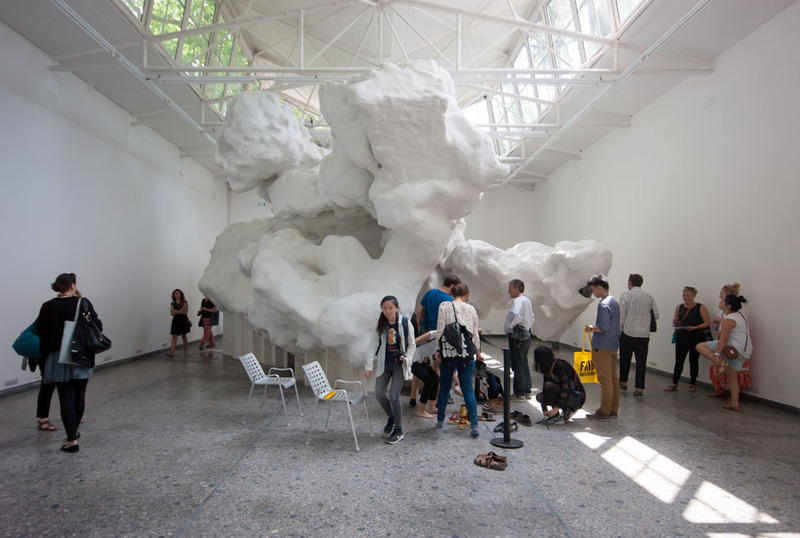 Therefore, when commissioned the exhibition in the Pavilion of Switzerland at Giardini, Kerez decided to investigate the possibilities of a highly-experimental piece of architecture and, at the same time, to exploit the “license to experiment” lent by an architecture exhibition when compared to constraints of the everyday professional practice. 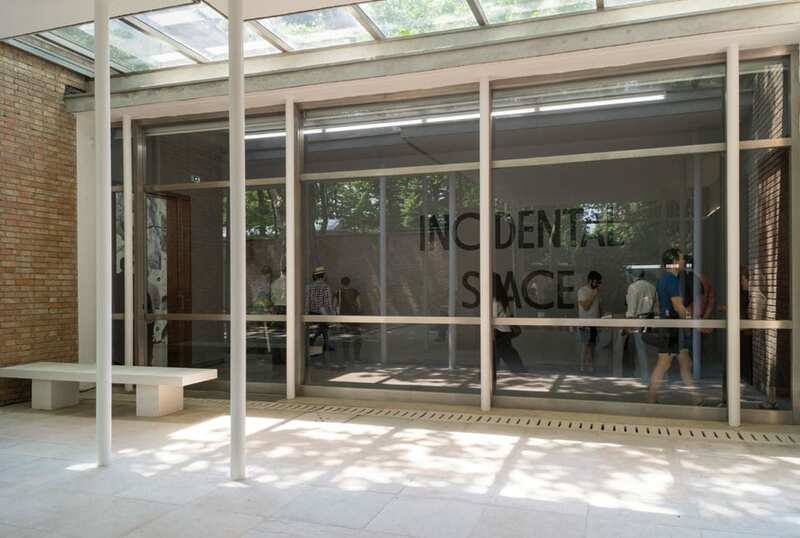 The idea behind Incidental Space is to see how far boundaries of architecture can be pushed, by using designing and building a space that is entirely abstract and as complex as possible. 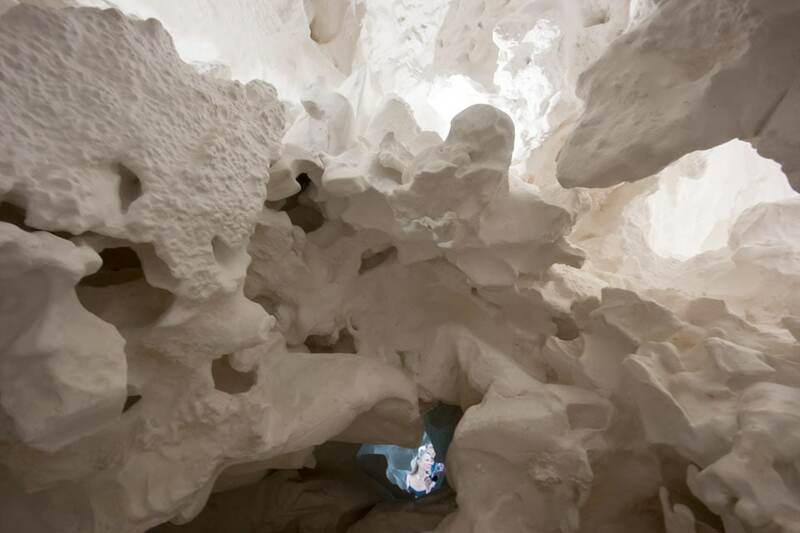 The result is an artificial cavern which may seem tiny from the outside, while it reveals to be a surprisingly large and articulated space inside, and which does not resemble a traditional building whatsoever. The structure, indeed, doesn’t seem to be based on a precise set of architectural rules, nevertheless it was developed through a long and thorough formal and technical process. 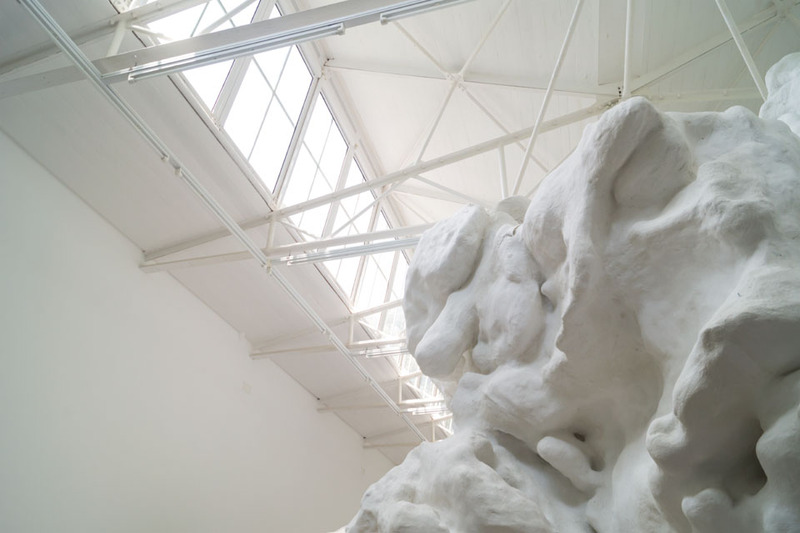 The “building” was initially developed by Kerez and his students at the ETH by creating small models made by casting liquid gypsum on a series of shapes assembled from different materials, such as wax, sand, and paper. Thereafter, such “incidental” models were cut to expose their inner cavities, 3D-scanned and digitally scaled up. 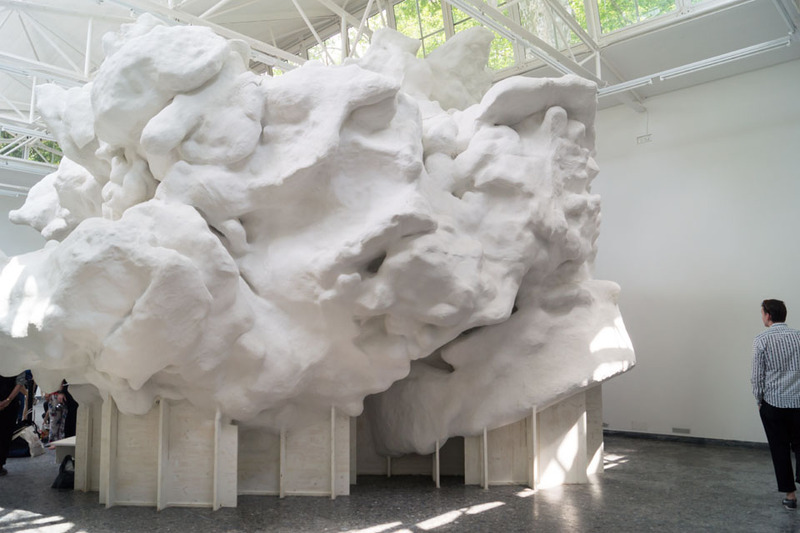 The scaled-up models where then used to produce some 250 molds through both additive 3D-printers and CNC milling machines, sprayed with fiber-reinforced concrete, shipped to Venice, and assembled to form the installation. The outcome of such process is strange and fascinating. 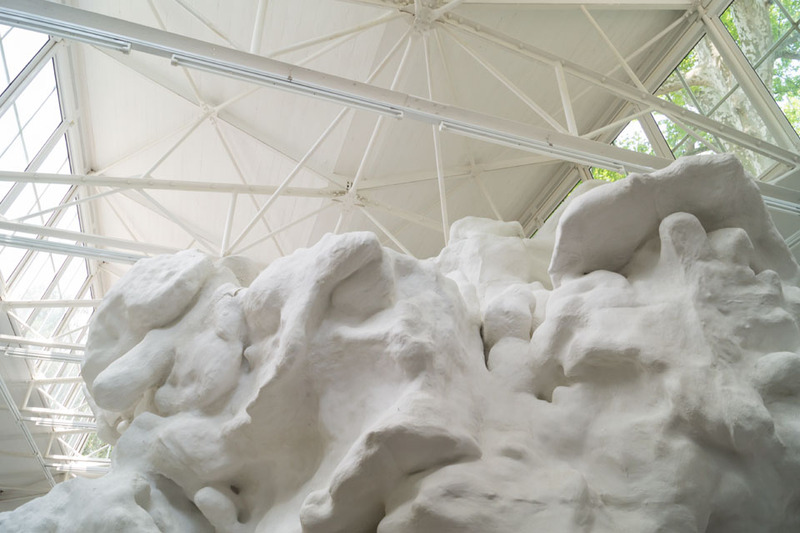 From the outside, the installation resembles a boulder of some kind of sedimentary rock, yet it reveals something organic in its aspect; it seems an alien creature midway between mineral and vegetable life. 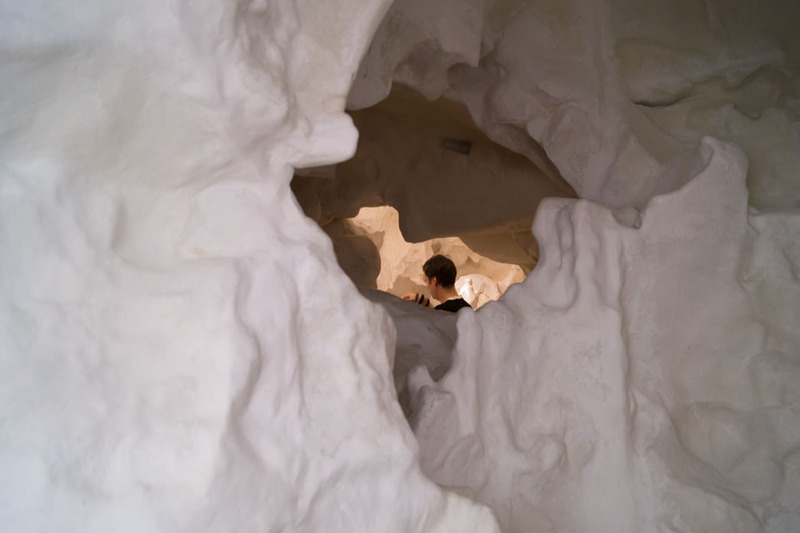 After entering it, the installation is unexpectedly large and it appears chiefly mineral; a small, luminous, cavern which easily accommodates four to five people. 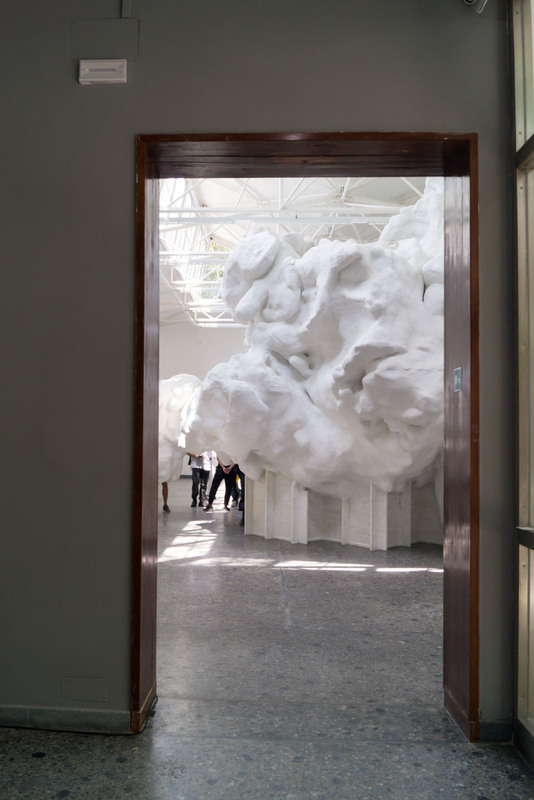 The overall effect is quite weird and makes one feel like having crossed a sort of virtual barrier: is the space which has enlarged or are we who have been shrank?